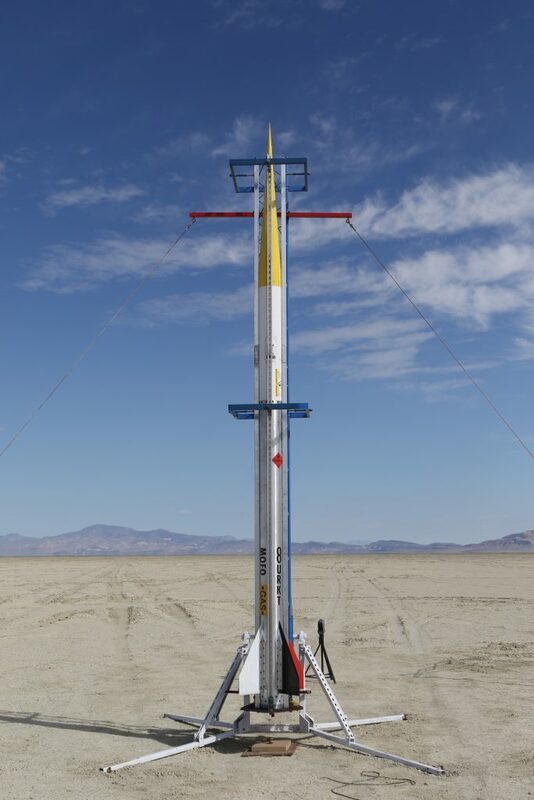 Greg Morgan flew his CTI N1560 powered rocket Bottomz up at BALLS26 to 62,734′ MSL (59,448′ AGL) with GPS-1 onboard to attain a new TRA altitude record for single N class. 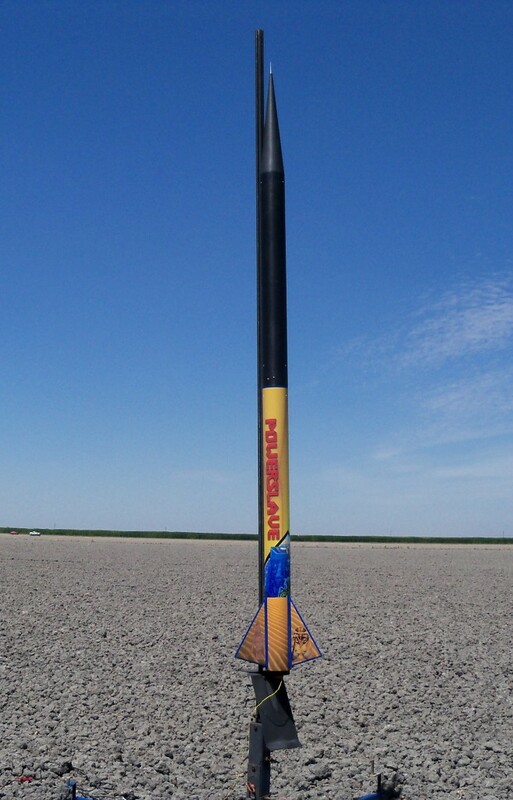 Flight electronics include MARSA54HD, Raven3, and the RocketPi Zero video flight recorder. 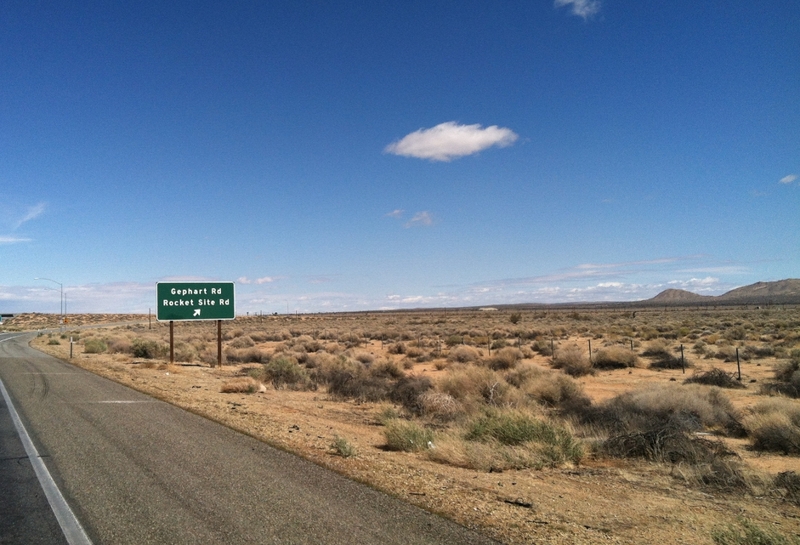 Onboard video and stitched panoramic view below. 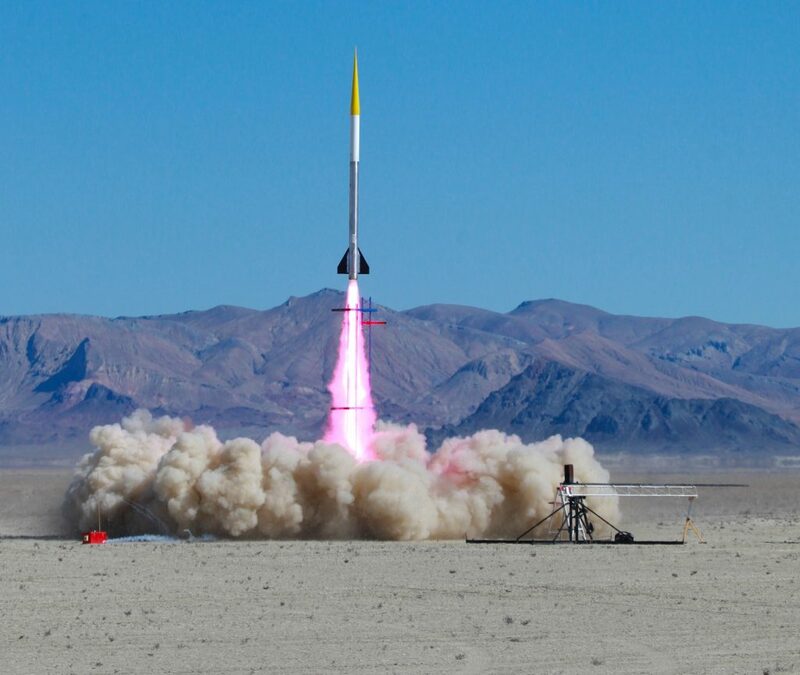 TCC October Skies 2016 – Thrillseeker Frenzy! 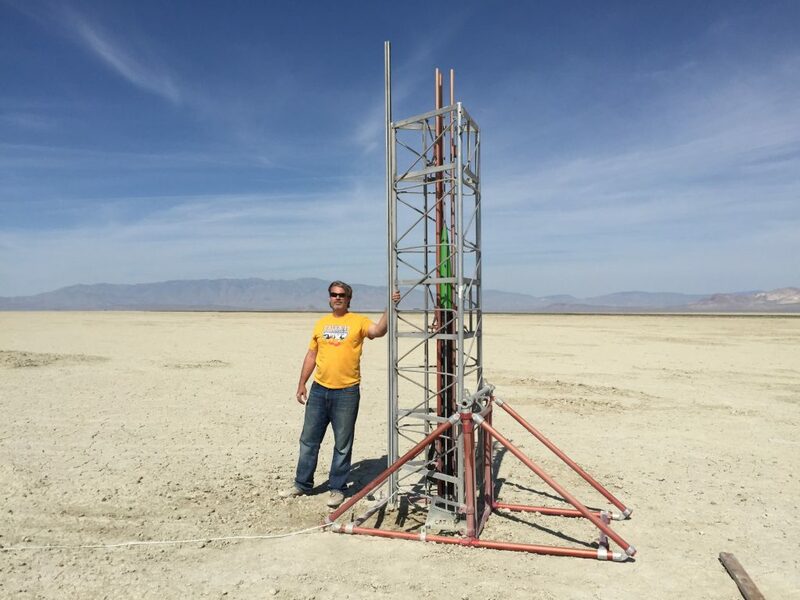 Greg Morgan flew his rocket Thrill-Seeker at TCC’s October Skies on October 15, 2016 for a textbook Tripoli L3 certification. 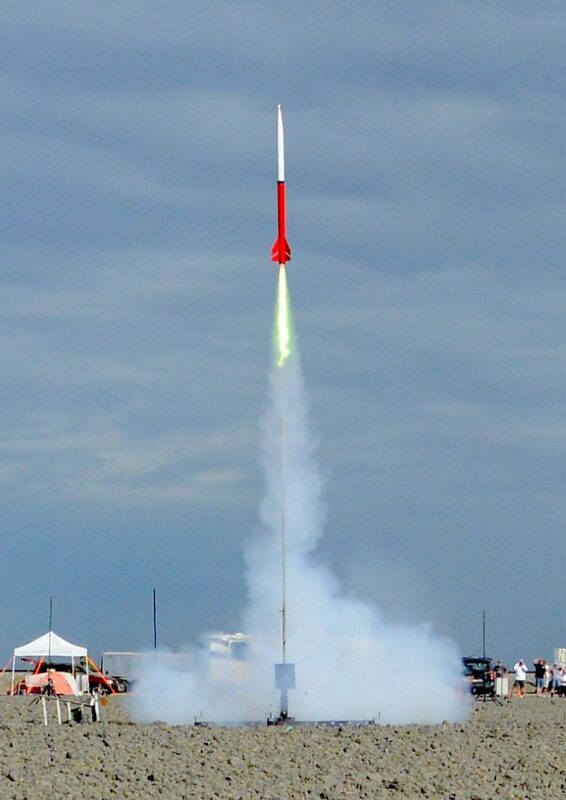 The maiden flight of his GPS-1 in a Madcow 4” FG Tomach achieved an altitude of 14,594 AGL (14,766 MSL) on a CTI M1101. 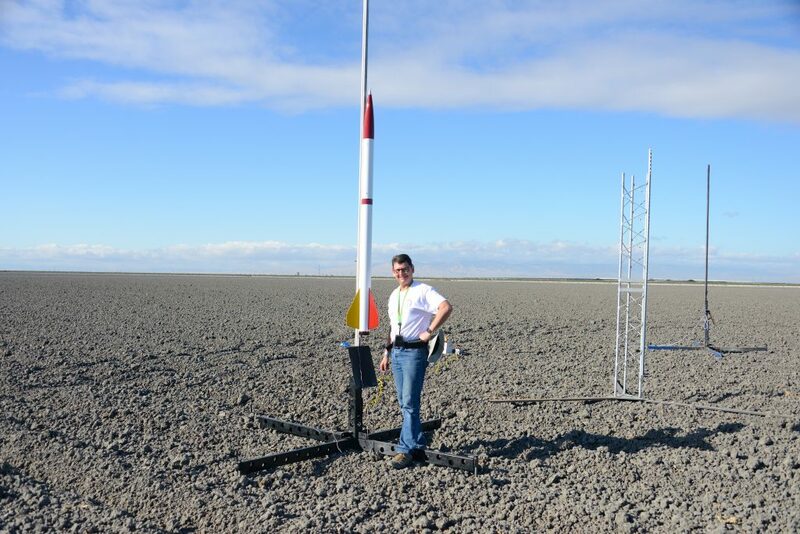 Greg then flew his Frenzy XL with an interchangeable Avionics bay which allowed him to fly his 4” Fiberglass Madcow Rocketry Frenzy XL with GPS-1 and RocketPi onboard to an altitude of 14,570 AGL (14,742 MSL) on a CTI M1160. 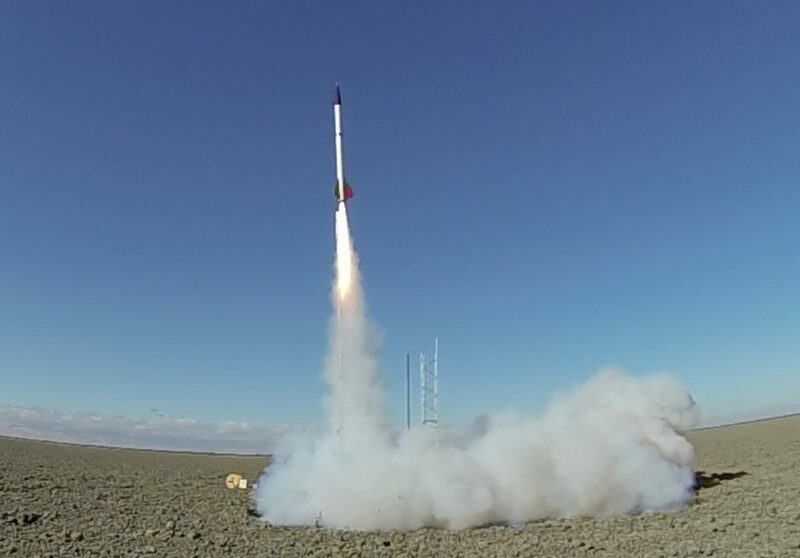 As an added bonus, the RocketPi was also aboard recording video and audio, and the video is below. 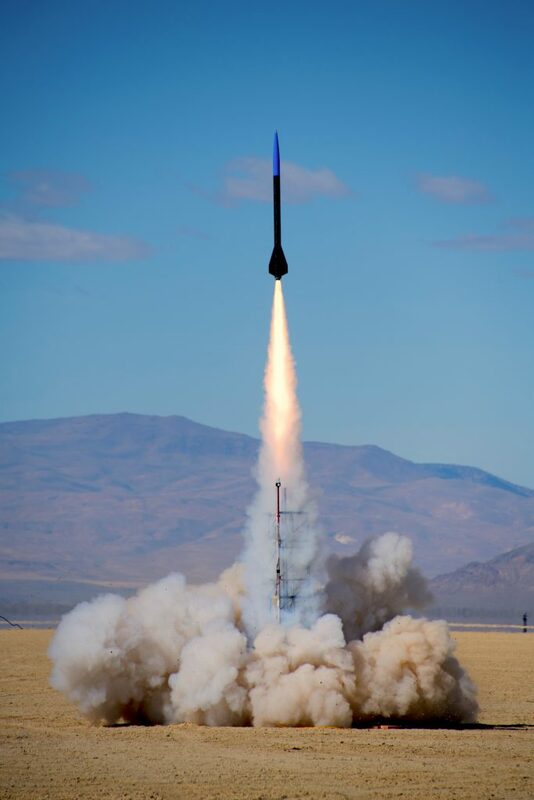 Scott Hertel and Guy Hardy flew their 17 foot 350 pound rocket named “8URKT” on an EX Q motor (115k nS) to 77,484′ AGL (81,383′ MSL) with GPS-1 onboard to claim the TRA altitude record for the single stage Q EX motor class! 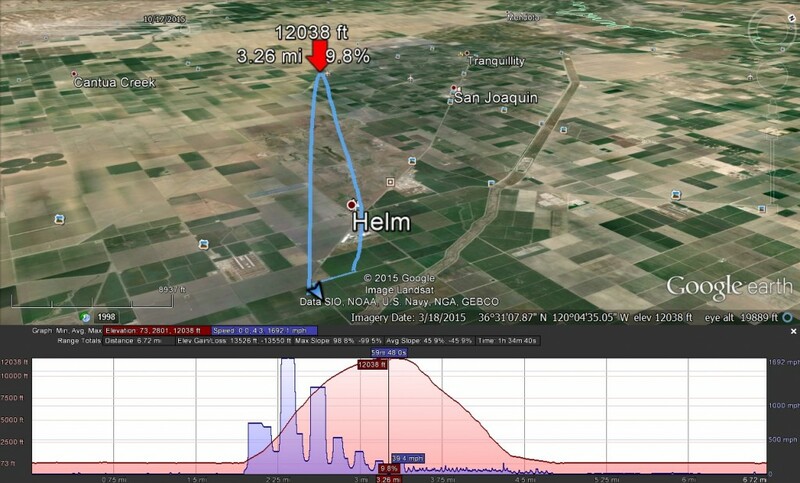 GPS-1 recorded the full flight profile from take-off to landing; the most interesting portion of the flight data shows the vehicle exceeded Mach at 1,654 AGL (5,553 MSL) and decelerated back to Mach at 63,568′ AGL (67,467 MSL); it then coasted on for another 10,017 feet to an Apogee of 77,484′ AGL (81,383 MSL) or 14.67 statute miles! 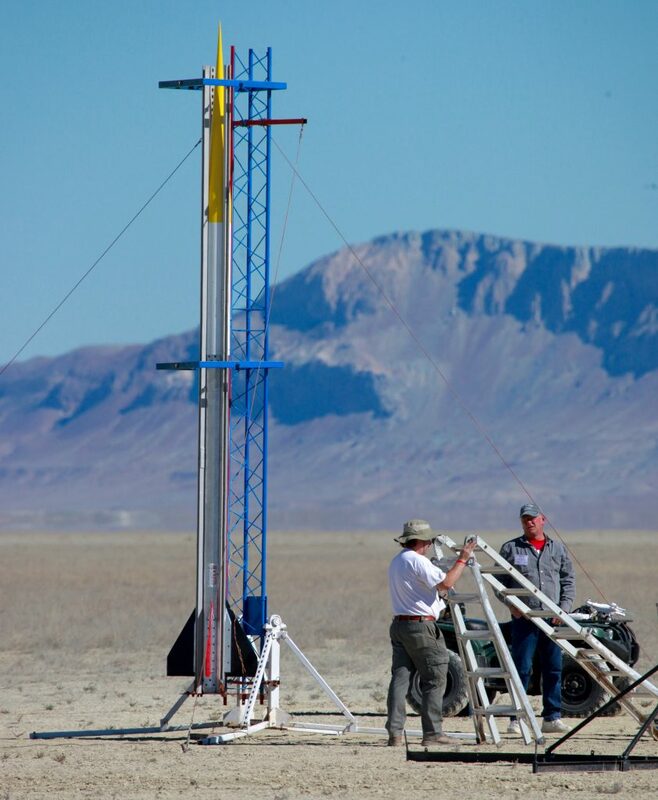 Photos and data files below. 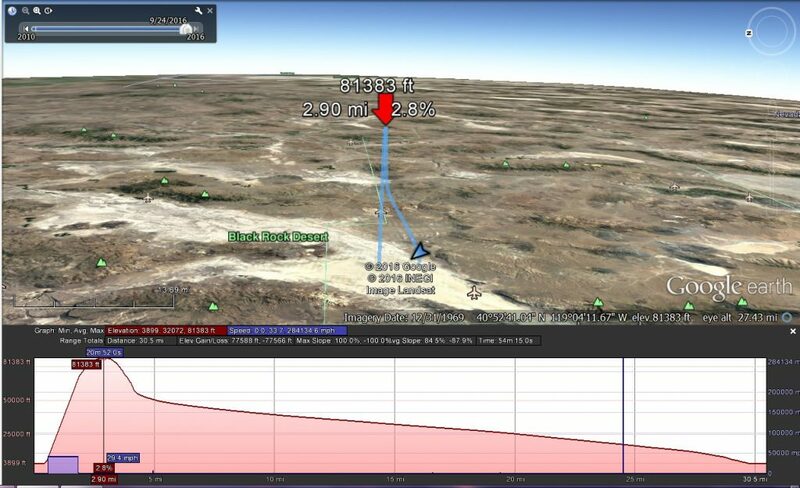 You can view the data files here. 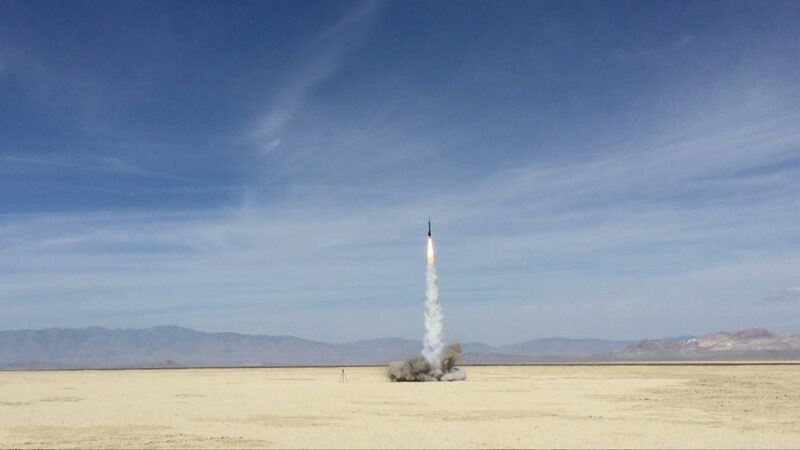 RFS Co-Founder/Owner James Dougherty re-flew his Pegasus Mk-III on an AT N1000 at the TCC Independence Day 2016 (4th of Juplaya) launch in the Blackrock Desert with both GPS-1 and a RaspberryPi (RocketPi) onboard. 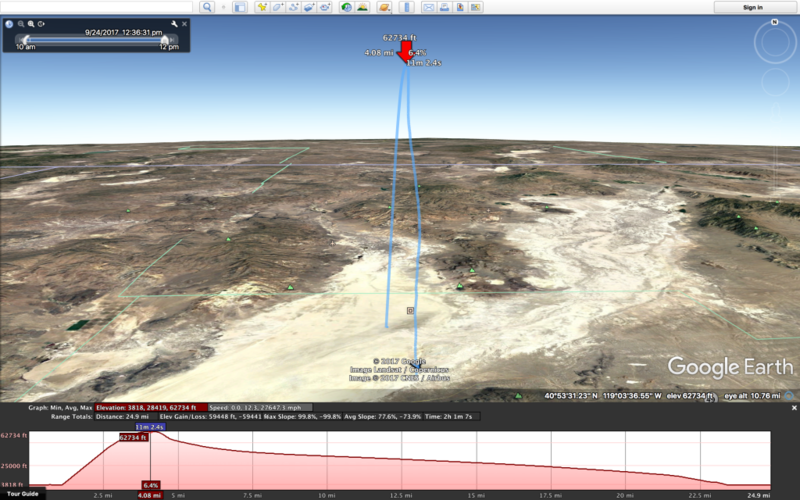 James flew to an altitude of 46,434 AGL (48,731 MSL) with a top speed of Mach 1.8. 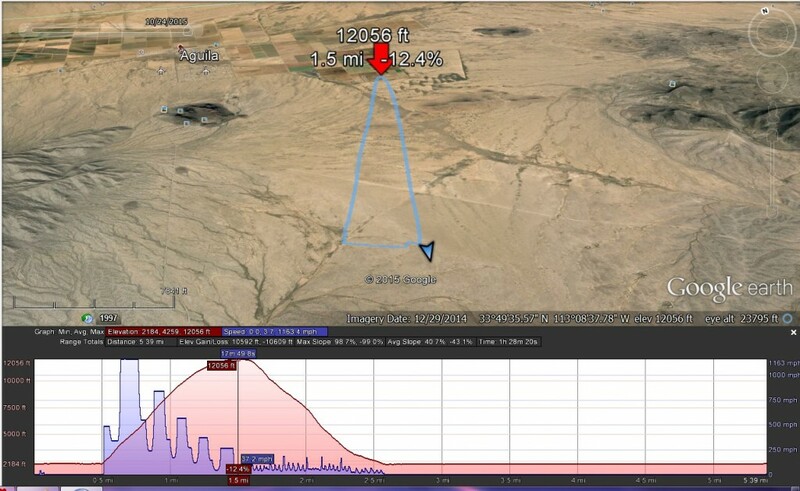 Basestation-2 tracked the rocket throughout the flight and Raspberry Pi did full recording of HD 1080p30 at 10Mbps throughout the flight. 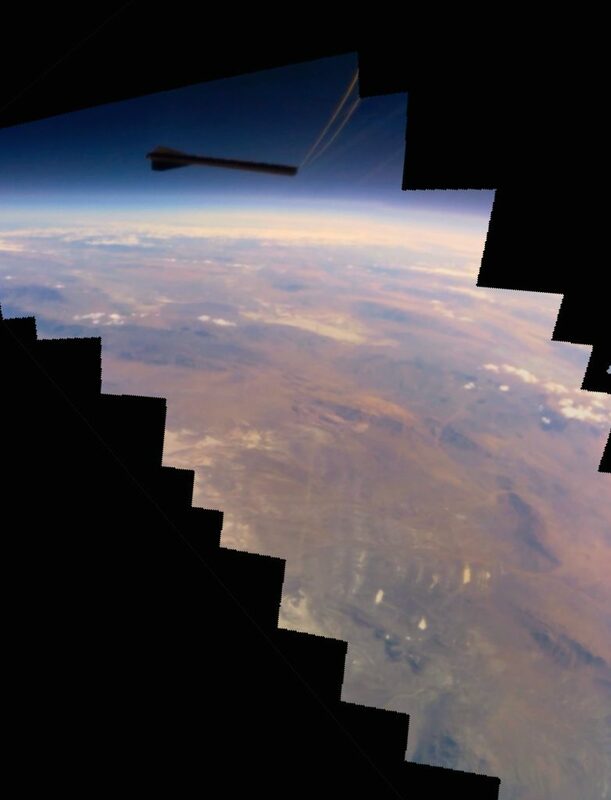 Gigapixel Panorama view shown here facing S/SW toward Pyramid Lake with Reno to the South and Sacramento to the SW. 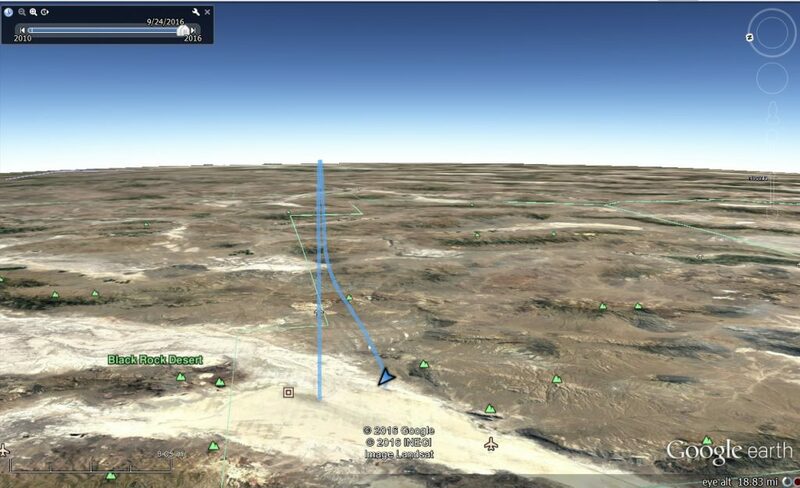 Flight details, data and other information available here. 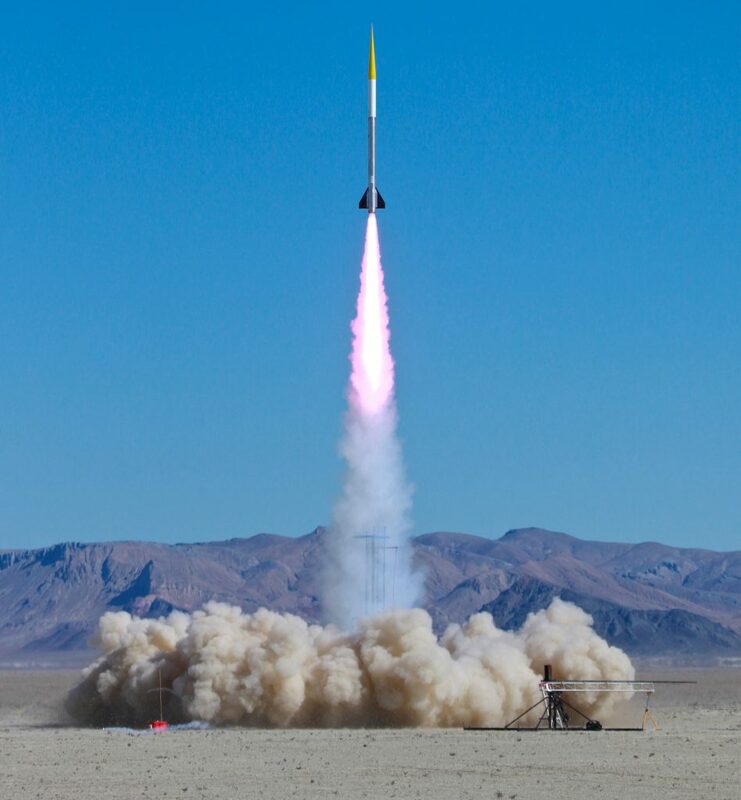 For more information on RocketPi, visit here. 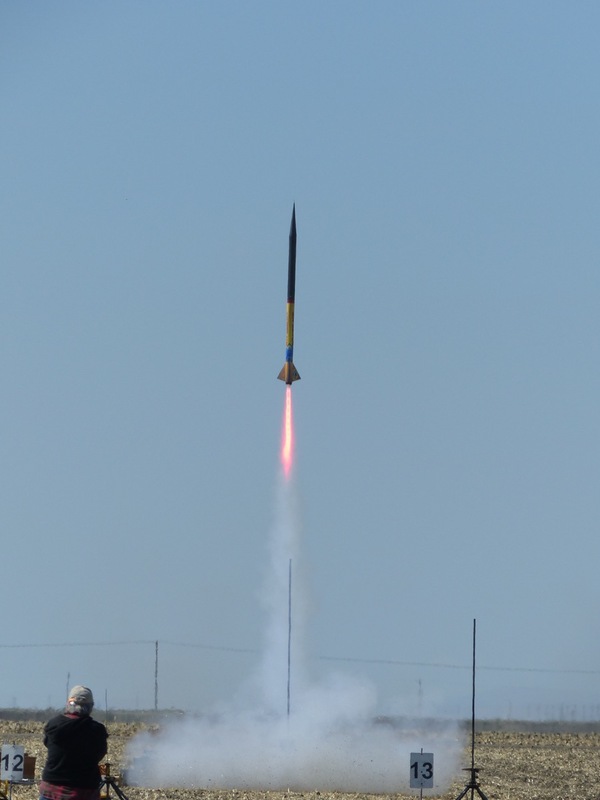 Jimmy Franco flew his Powerslave on an AMW M2100 Red Rhino with GPS-1 to 11,532′ MSL (11,401′ AGL) at Tripoli Central California’s Dairy Aire 2016 (TCC-DA2016) launch. 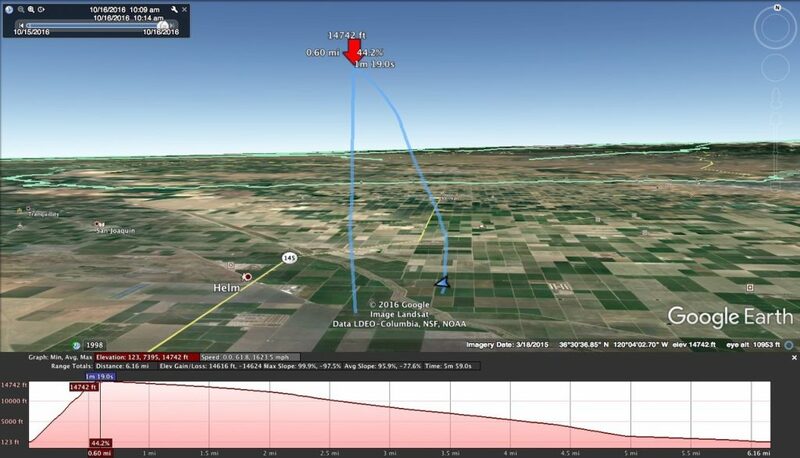 The GPS-1 tracked the vehicle throughout flight and recovery was 0.45 miles downrange (as below). 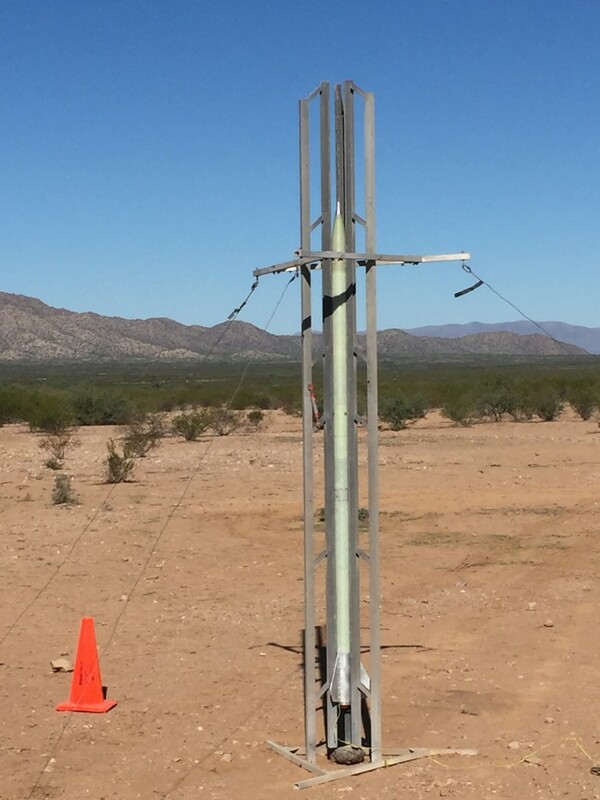 Tracking was performed using a Basestation-2 during flight. 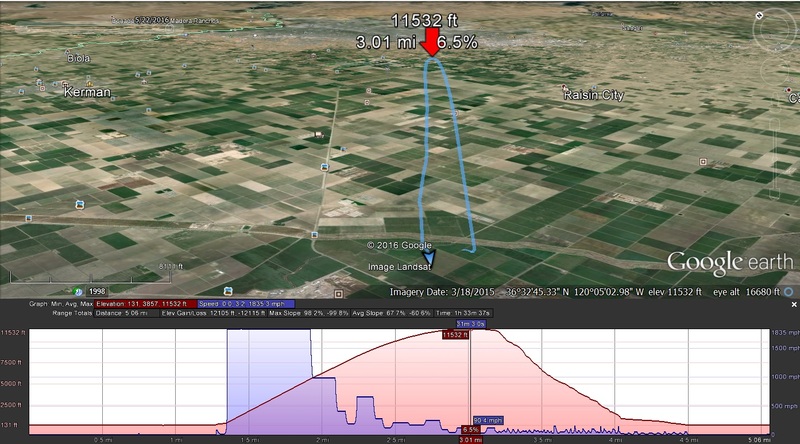 Jimmy Franco flew his Powerslave on an AT M1845 with GPS-1 to 12,038′ MSL (11,860′ AGL) a Tripoli Central California’s October Skies 2015 (TCC-OS2015). 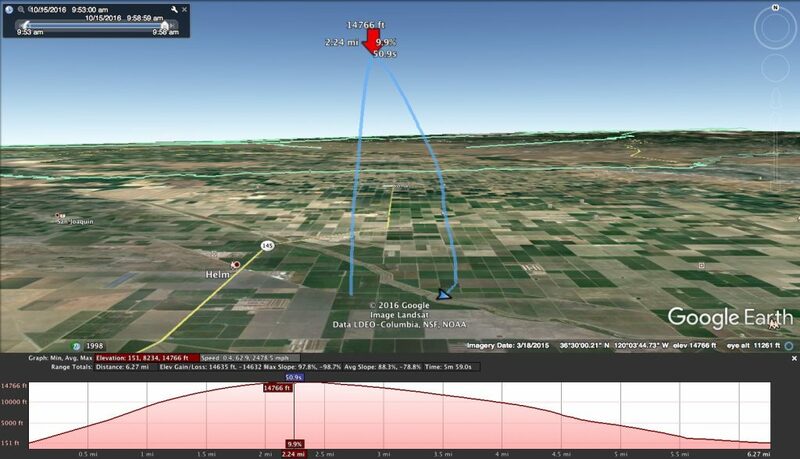 The GPS-1 tracked the vehicle throughout flight and recovery was 1 mile downrange (as below).